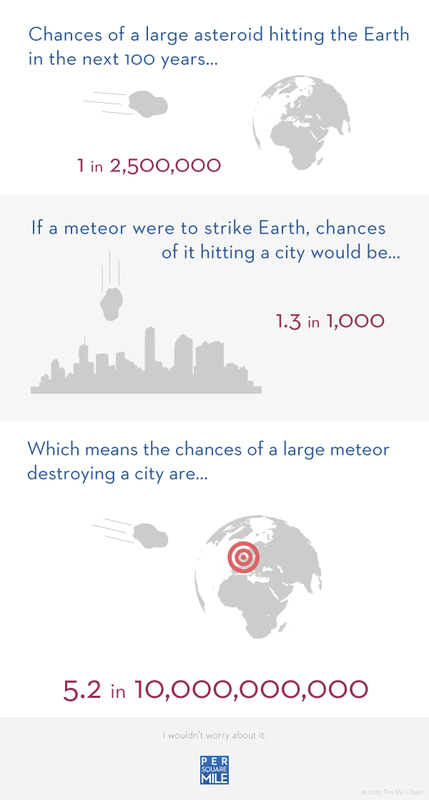 What are the odds a meteor will destroy a city? Ivezic, Zeljko. 2013. Personal communication.